Nero Fest is arguably one of, if not the best event every year. Not only does it provide some real challenges for older players to test their mettle on as Masters, it also greatly rewards farming the event lottery. Thus, it is highly recommended to use Apples for this event, as the returns per AP spent is incredible and the resources can last for quite a while with additional Apples in the lottery itself. The event is divided into three tournament stages: The Qualifiers, the Main Event and the Finals. Due to the event’s structure, there might be certain stages that are more beneficial to farm for some Masters, due to the different enemy compositions of each tournament stage. This all depends on each player’s roster and which materials are desired at the moment. 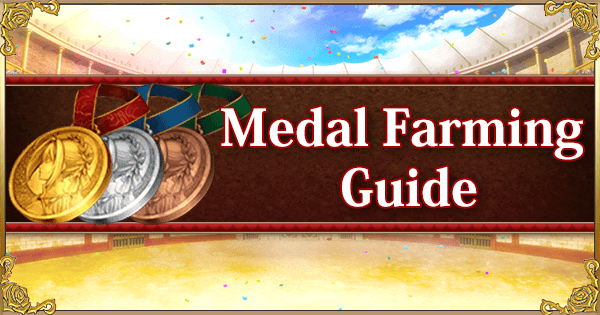 Consider saving Golden Apples for the specific stage that is more efficient to farm or yields one of the materials you need. 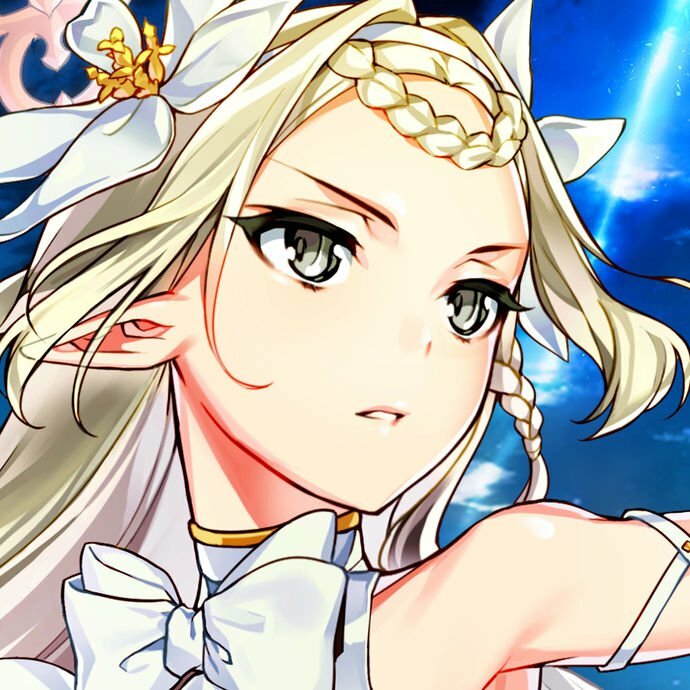 Thanks to the Event Craft Essence Princess of the White Rose granting bonus damage during the event, it might be worth using it for faster farming speed, or for players with a weaker team. If players can assemble teams that are strong enough to efficiently clear the highest difficulty nodes without a problem, then equipping only drop boosting Craft Essences to increase the drops per AP spent is preferable. This event also highly rewards players with strong AoE Servants, as most of the farming will feature a full wave of three enemies instead of just one boss enemy in the last wave. Due to how easy it is to clear the Beginner, Intermediate and Advanced difficulties, this guide will focus solely on the nodes with Expert or higher difficulty. Thanks to their general usefulness, these Servants can be slotted into almost all farming teams. It is highly recommended to raise them and/or bring them along to hasten the farming process. Zhuge Liang (El Melloi II) Zhuge Liang will increase the speed of farming tremendously thanks to his ability to charge the entire team’s NP bar. His buffs are also extremely powerful both offensively and defensively and scale very well with the bonus damage from the Event Craft Essence. He is a high priority support pick for every player with a decent damage dealer. Mash Kyrielight While Mash’s offensive capacity is mediocre, her ability to protect teammates is unparalleled, making her a decent pick for teams with squishy damage dealers like Sakata Kintoki or Minamoto-no-Raikou. Furthermore, she does not increase Party Cost so fielding Mash can allow for more drop bonus Craft Essences in the team depending on Master level. Eric Bloodaxe This holy trinity of F2P farming have a few things in common. The burst damage on their Noble Phantasms is quite strong, enough to clear wave 1 or 2 of many of the event nodes. Furthermore, they are all very squishy and often die not long after they fulfill their purpose, meaning they can bring out their teammates from the backline. Last but not least, they are all low rarity Servants, which means it’s very easy to get them from the Friend Point gacha, it’s very easy to raise them and it’s very easy to fit them into many team compositions with their low cost. Minamoto-no-Raikou Raikou is one of the most useful Berserkers in the game. She is incredible for all forms of content, from farming to bossing. For an event that encourages AoE Noble Phantasms like Nero Fest, Raikou is among the best damage dealers one could get. The cherry on top is that this event features many bosses and Servants with the Earth or Sky trait, allowing Raikou to sweep through her enemies even faster. Sakata Kintoki Despite his general frailty, Kintoki is a fantastic choice for this event thanks to his ability to instantly charge 50% of his NP bar while dishing out high overall damage. Given that most farming nodes have a high HP boss at the end, Kintoki is the man to take them out with one swing of his axe. 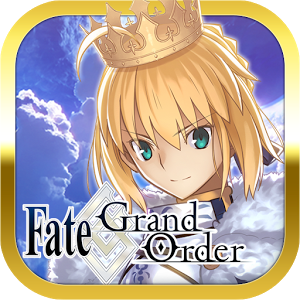 Gilgamesh With a high damage modifier against Servants on his NP, the King of Heroes rises to the top of the food chain in an event that heavily features Servant bosses. Furthermore, his strong Critical Damage dealing ability and fast NP generation rate round him out as a premium pick for farming. Cu Chulainn (Alter) With high and consistent damage, and amazing survivability Cu Alter can fit into any team as a damage dealer. When equipped with the Event Craft Essence and with sufficiently high skill levels, he can single-handedly carry most of the nodes in this event. Chloe von Einzbern For free to play players and even for many spenders, these two Servants can hard carry the farming aspect of this event when they get access to the Event Craft Essence(or even without it). Both Rider Kintoki and Chloe are great for several reasons. First, their naturally high NP damage scales incredibly well with the bonus damage from Princess of White Rose, allowing them to achieve outstanding numbers even against enemies with class advantage against them. Additionally, they have access to an instant 50% NP gauge charge at max skill levels, which is extremely efficient in terms of farming as they can get their Noble Phantasm ready much more quickly. If by now you still don’t have them at max level, do so as soon as possible and they will return the favor in spades. This Expert Quest is not a particularly hard battle since the first two waves have low HP enemies aside from the Gazer. While Mordred and Frankenstein both have AoE Noble Phantasms, Frankenstein is quite frail while Mordred still takes a few turn to ramp up her NP bar. Jekyll’s Noble Phantasm does not do anything particularly dangerous either but its HP restoration can delay victory for a turn or two. AoE Archers are all highly desired for this node thanks to their ability to heavily damage both Mordred and Frankenstein (and Jekyll if he somehow transformed). Nikola Tesla Tesla is amazing for this node thanks to his Pioneer of the Stars skill and a strong AoE Noble Phantasm that not only has a class advantage damage bonus against Mordred, but also extra bonus damage against Earth or Sky Servants. 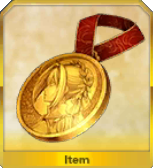 Oda Nobunaga Nobu’s Anti-Riding bonus on her Noble Phantasm and her class advantage should make clearing the final wave a trivial task. Atalante While they do not have any bonus damage modifiers against Mordred like Tesla or Nobu, their AoE Noble Phantasms are still quite formidable against Saber enemies in general. Furthermore they are also capable of generating Critical Stars at the same time to help their teammates. Tristan These Archers should have no problem completely generating their Noble Phantasm in time for wave 3 and take out Mordred. Their normal damage is also quite good and should be enough to help the team against Frankenstein and Jekyll. Carmilla These Servants all have a bonus damage modifier against Mordred on their Noble Phantasm, making them acceptable substitute for players that lack other ways to deal with Mordred. Euryale Acceptable Archer alternatives to take on Mordred. These Servants might be somewhat lacking compared to the better alternatives(or need longer to charge their NP), but for this node they should be quite sufficient. Thankfully Tesla is not the main boss of this node, otherwise it would be a lot harder than it is. A strong Rider is a must to clear this node as two out of the three bosses are Casters, as is the Demon in the second wave. 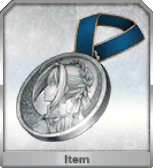 Free to Play players without a strong Rider can resort to equipping the Event Craft Essence on their main Rider to hasten the Gold Medal farming process. Francis Drake With an Event Craft Essence equipped, Drake can easily carry this node thanks to her absurdly high Noble Phantasm up time. Altria Pendragon (Santa Alter) Santa Alter burst with her Noble Phantasm is a thing of beauty, and certainly more than enough to obliterate the last wave. However, her NP generation is quite poor, resulting in a long time to ramp up her NP bar unless Zhuge Liang is brought along. Ozymandias With his amazing damage output and unmatched utility amongst Riders, the King of Kings is more than enough to destroy these non-Egyptian heathens. Mordred (Rider) Mordred makes up for her relatively low damage per Noble Phantasm with a fantastic NP refund rate, enough to spam her Prydwen consecutively with decently high skill levels and buffs. Iskandar Iskandar is very similar to Santa Alter - high burst damage, poor NP gain and is pretty much just a stat stick after using Noble Phantasm. Nonetheless, he should have no problem killing the last wave with Ionian Hetairoi. Ushiwakamaru Both Alexander and Medusa are good F2P options that can serve as the designated AoE Rider for the team. They are easy to get through the Friend Point gacha and thus can deal decent damage with high NP level. 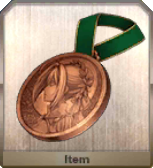 They don't pack enough punch to quickly eliminate Helena though, which is something Ushiwakamaru will excell at. Both Alexander and Ushiwakamaru also provide nice team support. Astolfo These Riders can act as alternative AoE Rider options, but they are either lacking in damage, utility or NP generation over superior Riders. Queen Medb It’s unlucky that Helena is the highest HP boss instead of Edison, otherwise the Great Queen of Connacht would be an ideal choice. On the other hand, her Anti-Male Noble Phantasm can prove quite useful against Tesla. Anne Bonny & Mary Read An alternative single target Rider option, but she requires more set-up than Ushiwakamaru. Without a strong Avenger or Berserker this node is not as easy to farm as later Conqueror nodes. Borrowing a powerful friend support or fielding the Princess of the White Rose should however be enough to clear the node comfortably if Avengers or Berserkers are in short supply. Otherwise, consider saving Apples for later rounds instead as the Main Battle and Finals Conqueror nodes offer much less restrictive team building requirements compared to this node. Nonetheless, if one is in need of both Chaos Claws and Petals at the early stage of the event, then do consider borrowing / bringing the following Servants. Be careful lingering around the Chimeras and their critical abilities. In the second wave, make sure to eliminate Jalter first to prevent any big criticals or powerful Buster attacks. Jeanne herself can be left for last as her NP is about as harmless as NPs get. For the Final node, Amakusa should fall quite readily to any Berserker or Avenger. But remember that if he does cast his NP, all protections or immunities will be removed before his NP does damage. Amakusa is a real terror if the AI decides to have a field day. Edmond Dantes The only available AoE Avenger at the moment. While his damage might be somewhat lacking without an Interlude, with proper buffing he can take out the Ruler Servants and heavily dent the other Servants with a buffed Enfer Chateau d’If. Jeanne d'Arc (Alter) Amazing damage output and class advantage against Ruler enemies are all Jeanne Alter needs to be the best damage dealer for this particular node. Vlad III A fantastic option to run with if an Arts team is available. He has a consistent damage output accompanied by good survivability compared to other the Berserkers. However, outside of Arts teams he is a lot less effective than his peers. Heracles Heracles has some of the best survivability amongst Berserkers, with high damage output to boot. 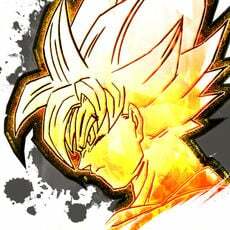 For standard teams, he is the best option after the SSR Berserkers. Besides, a staggering amount of NA players cherish their (deliberately chosen) Heracles. Ibaraki-Douji Ibaraki is another Berserker in the same vein as Heracles, albeit with less survivability. However, she has more utility and is very cute to boot. Tamamo Cat These are good AoE Berserker alternatives. All of them have very poor survivability, but when protected can obliterate either the second or last wave with their Noble Phantasm. They do, however, require NP charge or Starting NP gauge support from teammates or Craft Essences to get their Noble Phantasm ready in time. Darius III Alternative AoE Berserkers for F2P players. While their usefulness is limited, their availability make them decent substitutes. Darius can do some impressive damage thanks to his NP interlude. Beowulf While these Berserkers have great single target damage output, their survivability is almost nonexistent. Therefore, one should have a team built around protecting them to get the best out of them. This node can be tricky as Shuten-Douji only has 3 charges on her NP bar and possesses many debuffs including an annoying team-wide Charm. Meanwhile, Ibaraki-Douji can hit hard but she is also very frail and thus will most likely succumb to an AoE Noble Phantasm while taking care of Shuten. Xuanzang Sanzang With instant NP generation from her High Speed Sutra Incantation, fantastic team support and a strong single target Noble Phantasm, Sanzang is a fantastic candidate to take out Shuten-Douji and Ibaraki. Elisabeth Bathory (Halloween) Amongst the currently available AoE Casters, Liz is very reliable as her welfare status results in a good damage output thanks to her high NP level. She can heavily damage both Shuten and Ibaraki if she charges her Noble Phantasm in time. Medea Both of these picks are decent single target damage Casters that can serve as alternative options to Sanzang. While Medea can use her Noble Phantasm on demand, her damage is on the lower side of the spectrum. On the other hand, Illya’s damage output is higher but takes longer to get going. Rama Rama’s Noble Phantasm can evaporate either Shuten-Douji or Ibaraki-Douji with his Anti-Demon Noble Phantasm. His NP also possesses a bonus against the Ifreeta in the second wave, but given Rama’s poor NP generation it is highly unlikely that he could use his Noble Phantasm more than once. Ibaraki-Douji Both Heracles and Ibaraki return once again to deal with the various different classes in this node. Heracles and Ibaraki have some of the best survivability amongst Berserkers, with high damage output to boot. Better stop hitting yourself though Ibaraki. Jack the Ripper Despite a lack of class advantage, Jack has the capability to deal tremendous damage to both Shuten and Ibaraki with her Noble Phantasm. Her extremely high NP generation rate also ensures she will have it ready in time. Her only downside for this node is that she will be weak against the Ifreeta. Nursery Rhyme These are all Decent AoE Caster options. Their damage is somewhat low as Casters are generally a weak offensive class, but they should be sufficient against the two Onis once equipped with Event Craft Essences or if buffed up. Helena in particular can pull doubly duty as both damage against Shuten and supporting the team. Nikola Tesla Tesla hits both Shuten-Douji and Ibaraki-Douji incredibly hard thanks to his Noble Phantasm being effective against Earth of Sky Servants. While his class can hinder him in the first two waves due to the presence of Lancer mobs, he makes up for it with his extremely fast NP generation rate. Oda Nobunaga Both Karna and Nobu have powerful AoE Noble Phantasms that hit hard against Divine enemies like Shuten. Plus, they have the ability to function as a Critical Damage Dealers to mop up the early waves. Carmilla Carmilla can be called a budget Jack the Ripper. While she requires less Party Cost, her damage is also much lower. Nonetheless, she is a decent option if one lacks a good way to deal with Shuten-Douji. This node is potentially the most troublesome one of this round. Scathach has good damage output and a dodge at the same time. The second wave is also quite annoying as the Bicorn can hit hard while Medb has a Charm at her disposal. A strong Saber is mandatory if one is to farm in this node. It is not advisable to spend apples on this one unless you are in dire need of Serpent Jewels or have a capable roster. The other two Hero nodes have more lucrative monster drops, well, relatively anyway considering the low rates in this event. Rama Rama can instantly kill the Bicorn in the second wave with his Noble Phantasm and potentially still delete Scathach afterwards with his Critical Hit potential. He is one of the top candidates for this node. Okita Souji Okita can pull out some excellent ST damage with her kit and performs well in both NP generation and Star Generation. Her damage output is fantastic thanks to her high NP uptime and strong Critical Damage. Lancelot (Saber) With an amazingly self-sufficient skill set and consistent critical damage output, Lancelot (Saber) brings more than enough to the table to justify a top placement for this quest. Ryougi Shiki (Saber) These are all good AoE Saber options that can burst the last wave with proper buffs and/or when equipped with The Princess of the White Rose. Their NP generation rates are all fairly mediocre, so they might need NP batteries such as Zhuge Liang to help them out. Jack the Ripper With her absurd NP generation rate, Jack can use her Noble Phantasm several times during this battle. She is highly valuable for her ability to deal with both Medb and Scathach, especially if the latter uses her Dodge as Jack can clear enemy buffs with her first skill. Nero Claudius (Bride) Compared to other single target Sabers, Nero Bride’s damage output is on the lower side. However she packs much better team support than most of the other Sabers and can fulfill both offensive and support duties for the team. Ibaraki-Douji For nodes with multiple different classes, a Berserker equipped with the damage Event Craft Essence is a great choice. All these Berserkers are also fairly more durable than their counterparts, allowing them to last until Wave 3. Siegfried Filler Saber options. While their damage is not on the same level as other Sabers, the damage output problems can be remedied by equipping the Event Craft Essence. This node can be quite challenging as not many players have a strong Anti-Divine Servant to handle the Indian Brothers, however exploiting the complete Knight triangle in this node is also a distinct possibility. Arjuna is the main danger as he only has 3 Charges on his NP Bar as an Archer. To make matters worse, he can instantly charge one of his bars with his NP battery skill along with critting really hard. The Spriggan can also bring the pain if it is not taken out fast. Hence, the absolute priority for Wave 2 and 3 is to kill both the Spriggan and Arjuna respectively as soon as possible. Karna It may be hard to keep him healthy for the first two waves due to the presence of Saber enemies including the Spriggan, but his Noble Phantasm can easily devastate the last wave if properly buffed and/or equipped with the Event Craft Essence. A good strategy is to hide him in the back row and then bring him out for the last wave with the Chaldea Combat Uniform or Arash. Scathach Scathach can instantly oneshot Arjuna with either her Gae Bolg Alternative or her Brave Chain, provided she has her 3rd skill active. A well-timed NP Brave Chain can take out both the Indian Brothers, but will require a good card draw and buff distribution. Brynhild While Brynhild’s damage might be worse than Scathach or Karna, she is still an incredible pick for this node. Her Noble Phantasm has a bonus damage modifier against Karna and she can take out Arjuna with a Critical Brave Chain thanks to her third skill. However, similar to Karna, she lacks protection and might not be able to make it past the Spriggan. Alternatively her star absorption skill can be used on an Archer to quickly dispose of the Spriggan without resorting to NPs. Tamamo-no-Mae (Lancer) Combining amazing NP generation and Star generation rate with a hard-hitting Anti-Male Noble Phantasm is a recipe for destruction. What more do you want out of this charming foxy lady. Nikola Tesla Despite his class disadvantage against Karna, Tesla can do quite a bit of work in this node. He hits hard against all the Saber enemies in the first two waves, has great NP generation rate and his Noble Phantasm has a bonus modifier against both Arjuna and Karna. If equipped with an Event Craft Essence it is not surprising to see him blast the last wave to smithereens. Altria Pendragon (Lancer Alter) A very potent damage dealer with both strong AoE and single target damage. Her only downside is her poor NP generation rate compared to other Lancers and the lack of tools for survival. Altria Pendragon (Lancer) Contrary to her Alter counterpart, vanilla Lancer Altria has worse damage but can reach a full NP bar quite easily. She still does not have any means of survival, but her huge HP pool might be enough to survive past wave 2 and build up her NP bar in time. Ibaraki-Douji If one lacks a solid Lancer option for the last node, a strong Berserker is a perfectly adequate substitute. These three are all capable of doing consistently high damage with good bulk thanks to their skill sets. Oda Nobunaga Oda is basically a 4 star Nikola Tesla in this case. She has poorer NP generation rate but comparable damage output and much better availability for players who have been playing for a long time. David If you can't beat them, nuke them harder is Robin’s motto. He can make mincemeat out of anyone who dares stand against his mighty Yew Bow. However, this cheeky fellow needs a lot of babysitting from the entire team to perform his job, and Karna can still destroy him with an unfortunate Critical Hit. David meanwhile trades Robin's ability to take care of the Spriggan instantly with additional support for the team. Providing a good Charisma buff, 3 Arts cards and protection against the Saber enemies for Lancers. Euryale Both these Servants are amazing Anti-Male options with class advantage for the first two waves. They are, however, vulnerable to Karna (especially Euryale as she is Divine), and they do require a team to built around them to function well. Queen Medb Her damage output is poor against everything in the first two waves, but her Noble Phantasm can do quite a bit of damage against the Indian Brothers. Her team support for male allies is also a welcome addition. Even the mightiest heroes of India can’t resist the charm of this devious queen. This node is quite interesting as its enemy composition features many different classes. It is however not particularly hard as the only hard-hitting opponent is Raikou due to her Berserker class. The Soul Eater in the second wave can be troublesome as it has only 3 charges on his NP bar and can skill seal / dodge if you let it. Karna Amongst Anti-Divine Servants, Karna is the only one aside from Raikou to hit all three enemies of the last wave for at least neutral damage. His high Critical Damage and NP Seal are also incredibly useful against the Soul Eater. Oda Nobunaga Both of these Servants are fantastic options as they hit Raikou incredibly hard. While they do have a class disadvantage against Benkei, he doesn’t have that much HP or damage. Jack the Ripper Worried about the Soul Eater making your life miserable with its stupid Dodge? Fear not, for Jack can clear that in an instant. She also possesses class advantage against both Kintoki and Ushiwakamaru, and her Noble Phantasm ensures Raikou will perish before she can even pull out her katana. Scathach Scathach can delete Raikou on sight with her God Slayer skill. Either her Noble Phantasm, Critical Buster hits or her Brave Chains will do the trick. Outside of that, she deals only neutral damage to the other enemies in wave 2 and 3. She also does not provide much in the way of support or utility. Carmilla Carmilla is a good alternative to Jack with most of Jack’s strengths, but with lower numbers and no enemy buff removal. Rama Provided he can get his Noble Phantasm ready in time, he can instantly burst down the Soul Eater. He also has class advantage against Benkei and incredible Critical Damage thanks to Martial Blessing, enough to kill Raikou even without his Noble Phantasm. Do note that he requires the team to supply him with Critical Stars on top of NP charge support. Ibaraki-Douji If you are in need of a solid damage dealer that can deal strong damage against everyone, then a Berserker is far from the worst thing you can bring. Jeanne d'Arc (Alter) If there is anything that Jeanne Alter likes as much as blowing up Saintly Rulers, it is blowing up Berserkers. With just a few Buster Critical Hits or a Noble Phantasm, she can evaporate Raikou off the face of the Earth. Her raw damage output also ensure she stays strong against all the other enemies. Edmond Dantes While he still lacks an upgrade to his Noble Phantasm, he can still hit quite hard thanks to his naturally high Attack. His third skill is also quite useful against the Soul Eater as it can extend the amount of turns the team can take to kill the beast before it uses its special attack. Saint Martha (Ruler) Martha can be a good secondary damage dealer for this node. Her third skill grants her bonus damage modifier against the Soul Eater, Kintoki, Ushiwakamaru and Raikou. However, it only lasts one turn so players will have to pick a target for her to smash. And smashed it will be. For the majority of players, this node will be more troublesome than the Conqueror node due to the composition of enemies. Enforcement Knights hit quite hard and each wave has one of each knight class, making it difficult to have one designated Servant that can deal with all of them at once while keeping HP bars high before the final wave. The largest problem with Enforcement Knights in general is their capability to act three times per turn regardless of how many are left alive. As such, take out the most troublesome Knight for your composition first. The last wave is not much better, Tristan can shield his entire team with Harp of Healing, while both Gawain and Lancelot have high damage and skills that can charge their NP bar on demand. The best possible Support Servant for this node is Gilgamesh, as he does bonus damage against all three. However, there are some other alternatives to the King of Heroes. Don't forget about Arash and Chloe (as mentioned in the overall recommendations) either. Nikola Tesla Easily one of the best picks for this node, as all three of Round Table members are Servants with Earth affinity, allowing Tesla to smite them with the stolen thunder of the gods. Oda Nobunaga Fortunately both Gawain and Lancelot have Riding, making them a prime target for Nobu’s muskets. Keeping her alive might be tricky since she lacks a survivability tool against the Lancer Knights, but once she made it past the first two waves she should be able to handle the two Sabers pretty well. Euryale Who would win? A couple of renowned Knights of the Round Table with incredible skills or a loli with a toy bow? Your Camelot MVP is by far the best Anti-Male specialist you can bring for this fight. Orion Orion has longer ramp time than Euryale and her damage output on her Noble Phantasm isn’t quite as good, but she is still a premier Anti-Male Servant for this particular battle. She also performs much better at disposing of the Enforcement Knight due to her high base stats. Arjuna Alternative AoE Archer picks. While their damage is not on the same level as Nobu, Gilgamesh or Tesla, they can still heavily damage the last wave with their Noble Phantasm. Additionally, Emiya and Atalante can generate a large amount of critical stars while firing their NP in wave 2 or 3. Robin Hood These Servants are all fantastic single target Archer options to bring along. They can deal with Gawain and Lancelot quite effectively thanks to their high ST damage. Ibaraki-Douji When in doubt, trust the Gorillas! Useful for disposing of any of the Enforcement Knights quickly before they get uppity. They are vulnerable to Enforcement Knight focus fire so use their survival abilities early. David David’s support is quite good, allowing the party to survive the first two waves much better. His damage is also relatively decent, thanks to easy access to NP5 from the FP gacha. Use his Harp of Healing early to protect squishy team members from the Enforcement Knights. Anne Bonny & Mary Read (Archer) They don’t bring much support to the team, but their damage output is good. Their NP generation rate is quite average, so it is unlikely that they can ever get more than one Noble Phantasm per battle. Amongst the Conqueror nodes to farm, this one is possibly the best. However, while the Sphinx is not a heavy hitter like the Spriggan, it can still do quite a bit of damage as it will still act three times per turn. Its 100k HP bar is also quite daunting. For the last wave, all three of the Servants are Sky Servants with Divine trait, so Anti-Divine specialists are incredibly useful and can most likely oneshot the entire wave with a Craft Essence equipped. Prolonged battle against this trio is highly discouraged, as Gilgamesh and Ozy both hit extremely hard and Nitocris has an AoE Instant Death Noble Phantasm. Furthermore all of them have some form of NP gauge boost. A large portion of bad luck and suddenly Gilgamesh can fire his NP on the 2nd turn. Karna The Spear that can kill Gods is more than sufficient to kill Demigods as well. With an AoE Noble Phantasm and the perfect class to counter Gilgamesh, Karna is one of the best Servants for this node alongside Raikou. Scathach Scathach’s Anti-Divine component is not tied to her Noble Phantasm but her skill, so a very well-timed NP Brave Chain with God Slayer active can kill two and possibly all three of the last wave if she is sufficiently buffed and holds the Event Craft Essence. She is definitely a strong pick just for the last wave alone. Tamamo-no-Mae (Lancer) They are both very strong single target Lancer options who can deal with Gilgamesh and Ozymandias. 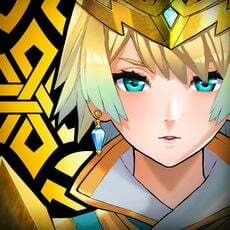 Brynhild Romantia has a bonus damage modifier against Ozymandias while Tamamo deals extra damage against Males in general. They also have good NP and Star generation and good teamwide utility/support. Altria Pendragon (Lancer) Both versions of Altria Lancer have good AoE damage for the last wave and Gilgamesh in particular. However, the damage is definitely not on Karna’s level. Ozymandias With his amazing damage output and unmatched utility/support amongst Riders, the King of Kings can easily delete any of the Casters in this node. Additionally, the defense down and NP seal on his NP are quite effective on Gilgamesh while his skills provide excellent support and great facilitates having all NPs ready in time for Gilgamesh's appearance. Francis Drake Drake provides the team with a way to easily get past the Sphinx. Furthermore, her AoE damage is no slouch either as her NP can help weaken the last wave. Iskandar Good alternatives to Francis Drake. Their AoE Noble Phantasms do hit harder but their NP generation rate is also much lower. Nikola Tesla While they don’t have class advantage against any of the enemies, their Anti-Divine AoE is highly desirable. Euryale Similar to Nobu or Tesla, these two Archers do not have class advantage against any enemies. However, they can burst down Gilgamesh and Ozymandias quickly with their strong Anti-Male damage, allowing the rest of the team to clean up. Li Shuwen These two are both are decent Lancers who can take care of Gilgamesh, but they won’t be too effective against the Sphinx or Ozymandias. Ushiwakamaru Ushi is a fantastic choice to take care of the Sphinx while also providing some utility to the team in the form of her two buffs. She is, sadly, quite ineffective against both Gilgamesh and Ozymandias.